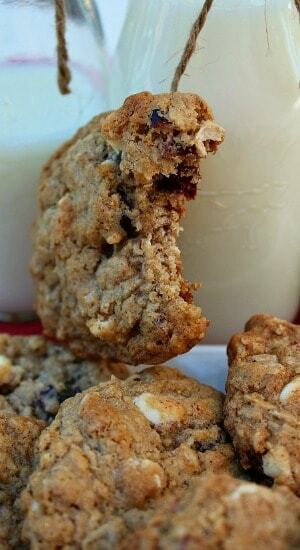 When is the last time you had some fantastic oatmeal cookies? This recipe is really, really good with all the added goodies! Biting into one of these cookies will have you wanting more. 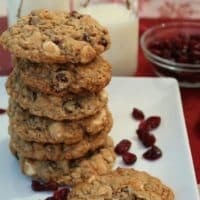 The craisins and white chocolate chips make these cookies that much more delicious. 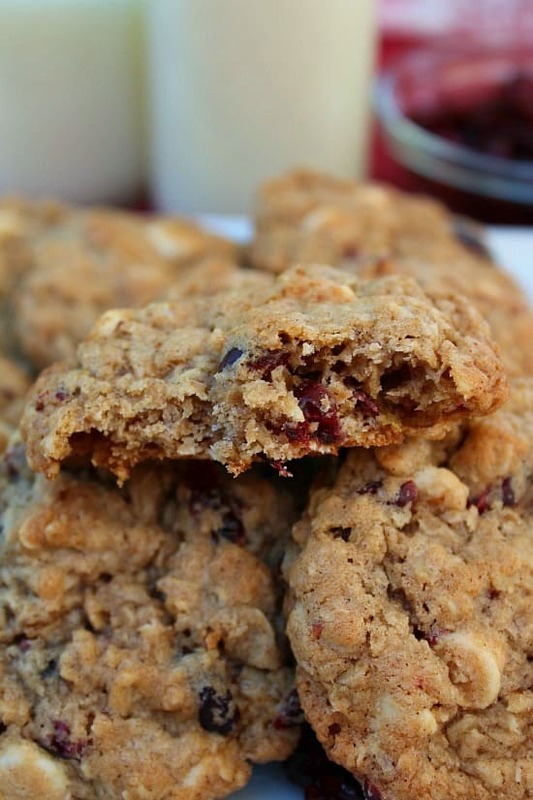 With the weather changing, and the baking season in full gear, these are definitely a great cookie to bake. The smell that fills the kitchen when these cookies are baking is amazing! I’ll eat one, two or three of these, right when they come out of the oven and, man oh man, they are so good!! Warm, chewy, and full of flavor is what you will be tasting when you grab one off the cooling rack too! 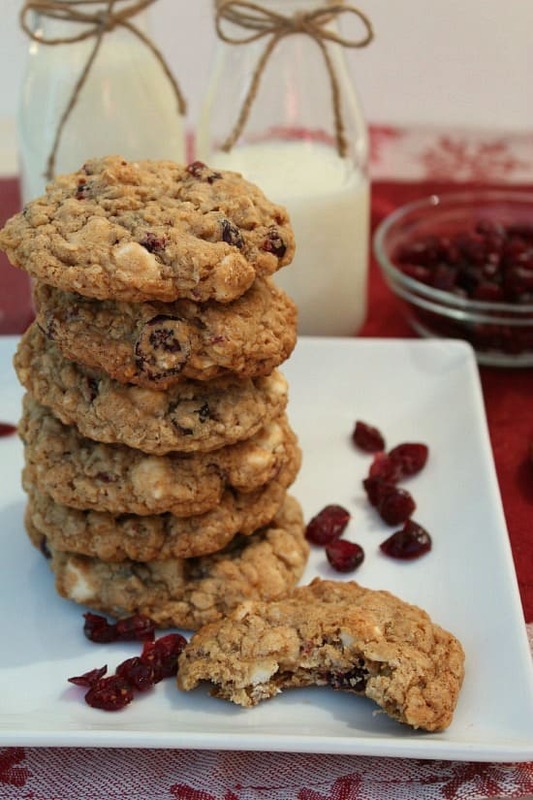 These are great to make for holiday cookie exchange parties too!! 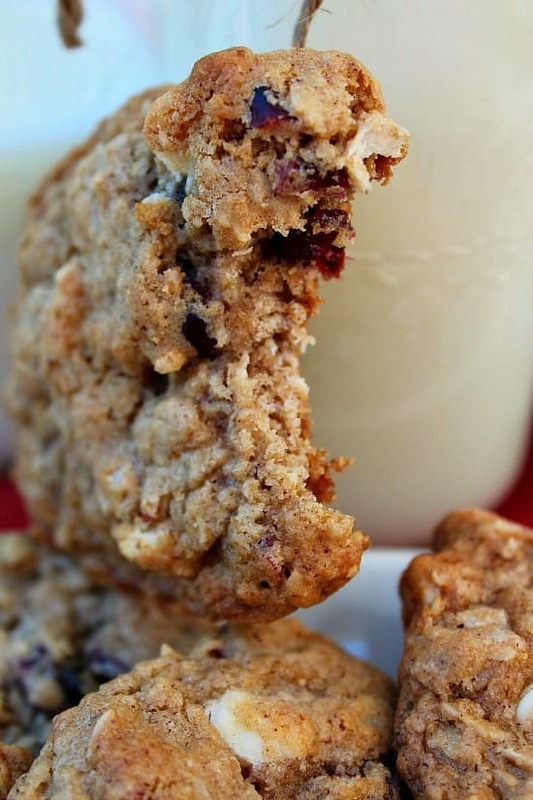 Anyone who loves oatmeal will enjoy these! With each bite, you will be able to taste the different flavors in these delicious little bites of goodness. Add eggs, vanilla , and corn syrup. Beat until well combined. In a separate bowl, mix flour, baking soda, cinnamon, salt and mix together. Add flour mixture to large mixing bowl and mix well. 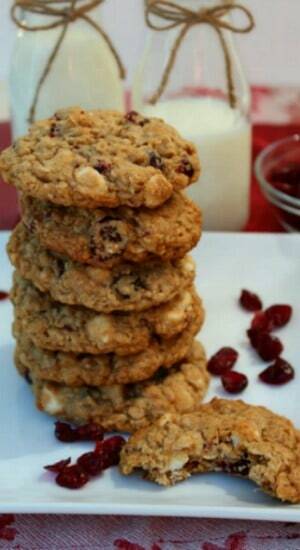 Stir in oatmeal then add craisins and white chocolate chips. Bake for approximately 10-12 minutes or until cookies are golden brown. Once removed from oven, place cookies on a wire rack to cool. This recipe makes about 4 dozen cookies.